-The court’s ruling annuls and leaves without effect the boycott against Israel and the companies or individuals who do not oppose the Jewish State approved by the Regional Government of Gran Canaria in 2015. -ACOM sees reaffirmed its legal initiative against the BDS-ELAI discriminatory movement that intends to use the Spanish public institutions to discriminate against the Jewish people and all of those who have relations with it. On 26 September the High Court of Justice of Las Palmas de Gran Canaria dismissed the appeal presented by the Regional Government of Gran Canaria against the verdict that approved the judicial appeal presented against the corresponding agreement of boycott against Israel. This ruling annuls and leaves without effect the boycott against Israel and the companies or individuals who do not oppose the Jewish State. At the same time, it is a new legal blow against the BDS-ELAI discriminatory movement that intends to use the Spanish public institutions to discriminate against the Jewish people and all of those who have relations with it. 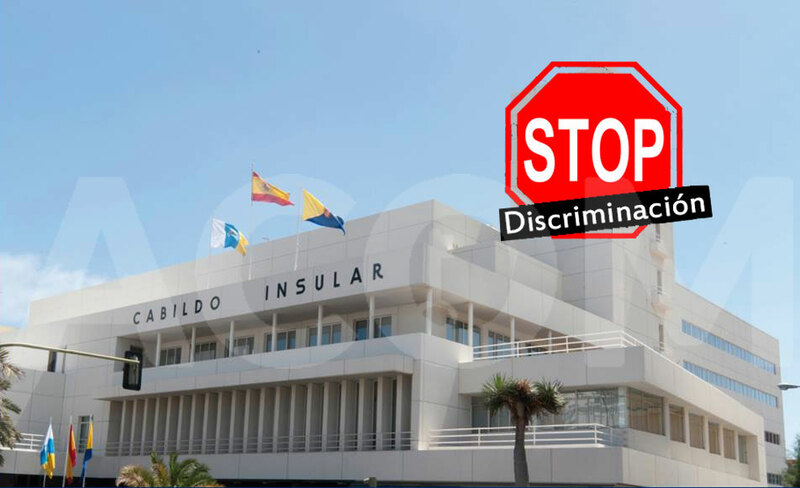 In 2017, after the legal suit presented previously by ACOM, the Court 4 of Las Palmas de Gran Canaria decided to annul the boycott approved by the Regional Government of Gran Canaria as it considered it discriminatory and in disagreement with the principle of neutrality and objectiveness that must preside the actions of the Government. Until then, 21 canarian towns, with a combined population of 850,000 inhabitants, receiving more than 4,2 million of tourists in a single year, lived under a Judenfrei regulation. Now it is the High Court of Justice of Las Palmas that has rejected the appeal of the Regional Government of Gran Canaria to revoke this decision, confirming the illegality of the institutional agreement of boycott against Israel, and declaring that the Government has no competency to establish an international boycott and to alter the European Directive and the national legislation in matters of public hiring. Also, the Court insists that the act of the Government of joining the boycott campaign against the State of Israel “generates grounds to become an administrative act with legal effects for which the Regional Government has no competency as it refers to the foreign affairs of the State, who has the competency in this case for it”. This is the third court ruling of a Spanish higher court against the BDS-ELAI anti-Semite movement after the legal initiative of ACOM. The Spanish courts of justice have already ruled on the illegality and unconstitutionality of the BDS campaign. ACOM, the main denouncer of the discourse of hatred and/or the discrimination for ethnic and national reasons that this movement promotes, has won up to now 37 legal suits. All of them have insisted on the unconstitutionality and illegality of these exclusive measures that infringe on the common framework of coexistence.